High-Speed Logic Verification Service Cedar™-EMU | Socionext Inc. 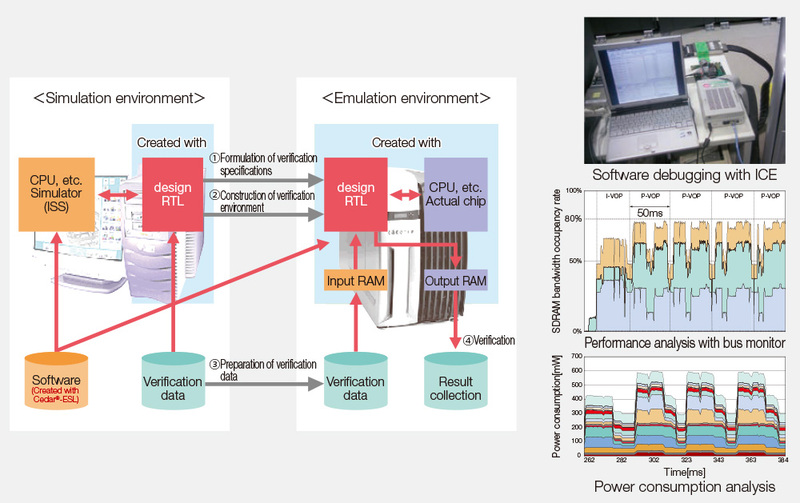 The high-speed logic verification service uses emulators and the like to perform high-speed logic verification and compute SoC power consumption. We can prototype a circuit by mapping a circuit of the system to be developed to an emulator. It can also compute your proposed system's power consumption. Since the emulator runs 500 to 1,000 times faster than a software simulator, you can significantly reduce verification time.